By Megan Gonzalez of MaeMae & Co.
Megan Gonzalez of MaeMae & Co.
MaeMae is a creative studio bringing daydreams to life. Megan established her own nationally recognized stationery company that matured into much more. 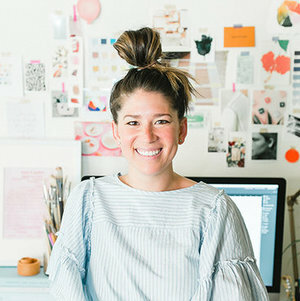 She has developed effective creative processes, built tools to embrace a niche audience, and structured her company around the life she wants. She is passionate about sharing what she has learned throughout her journey with other entrepreneurs and creatives. Megan is a creative director assisting companies with branding, marketing, and product development. She directs and styles photoshoots, creates and applies brand assets through print and digital, and consult.